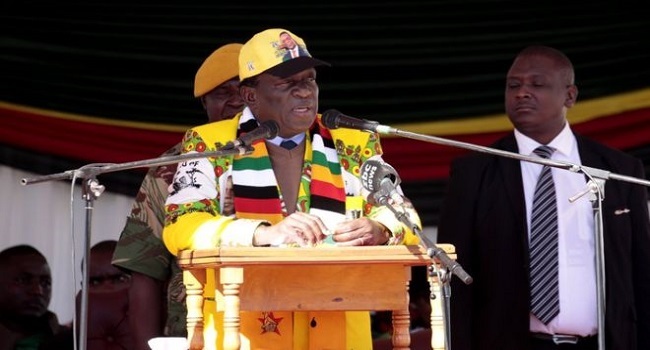 Zimbabwe’s President Emmerson Mnangagwa has called for racial unity ahead of landmark elections, telling white farmers their lands will not be taken. Former President Robert Mugabe’s government supported the seizure of hundreds of white-owned farms which they saw as unfairly taken by settlers. But Mr Mnangagwa, 75, told a crowd in Harare that the controversial policy was a thing of the past. “We should cease to talk about who owns the farm in terms of colour,” he said. It will be the first presidential poll since Mr Mugabe was ousted from power in November, bringing an end to his 37-year rule. White Zimbabweans have traditionally voted for opposition parties such as the Movement for Democratic Change (MDC) as opposed to Mr Mnangagwa’s Zanu-PF party. He told the crowd that his government was “racially blind” and acknowledged the failure of his predecessor’s controversial land reforms. The farm seizures led to a crash in Zimbabwe’s agricultural output, an exodus of skilled white farmers and widespread unemployment among black farm labourers.